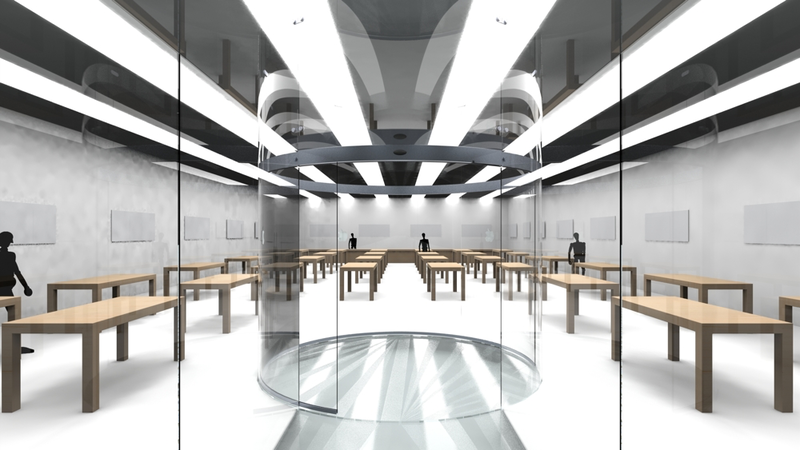 New revolving door design in Apple Retail Stores, commissioned by Royal Boon Edam. Crystal Slide is a new product for Royal Boon Edam. In essence, it is a completely glass revolving door with no wings. Just a cylindrical shell with a gap rotating inside the outer shell which has two gaps. The big glass cilinder reaches from the floor to the ceiling. Between the cilinder and the storefront is a glass tunnel, creating the effect that customers already seems to be inside. Safety and people flow is ensured by several sensors. To top my bachelor Industrial Design Engineering, I did this graduation project for Royal Boon Edam, international market leader in terms of entrance solutions. They asked me to design a new entrance for them, to get their foot in the retail business. As a one-week-group, we looked at the company and its history, its identity and vision and the current market it’s in. “Customer focus, innovation, expertise and engagement” are the four pillars that Royal Boon Edam identifies as their own strengths. They’re on the intersection between architects and contractors which is why they deliver a custom solution to every problem. We looked at stakeholders, their product portfolio and competitors. And finally we took a look at Boon’s future by doing a PEST analysis (Political, Economic, Social and Technological environments), a trend search and a SWOT analysis (Strengths, Weaknesses, Opportunities and Threats). By combining segments from the SWOT analysis we were able to generate interesting search fields. Every group member picked a field that fitted him the most and went continued the assignment individually. The entrance of a retail store serves as more than just an a way to enter the building. It’s about brand experience, the transition from the outside world into the world that is that brand. 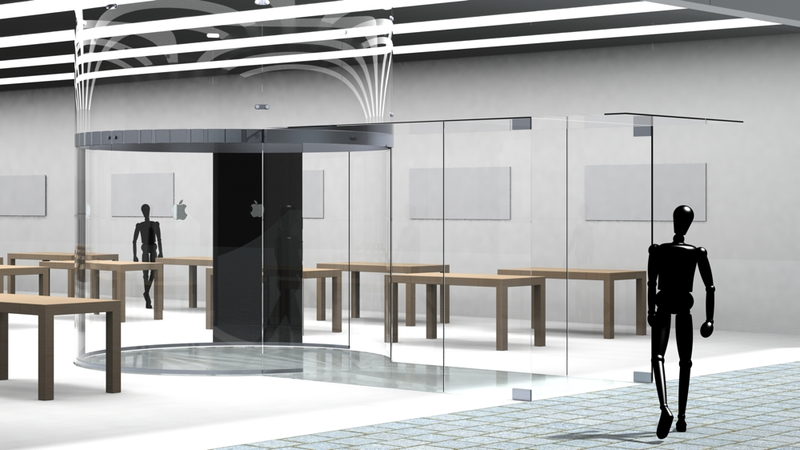 From the analysis and with my personal design challenge, I chose to design a new entrance for Apple Retail Stores, with an appearance comparable to their glass staircases and the 5th Avenue cube entrance in New York. 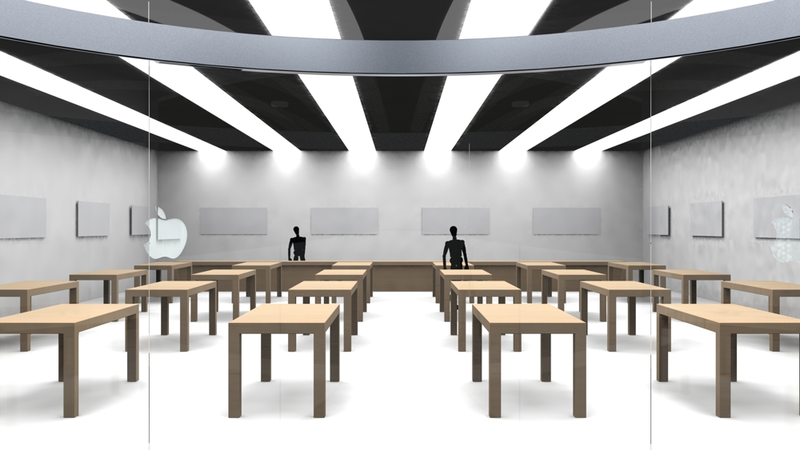 I dove in to the context and took a look at Apple Stores worldwide. Since the first retail stores in May 2001, Apple has the ability to show their own face behind the products, create a personal bond with its customers and to control the buying experience. The Apple stores offer an amazing new way to buy a computer. Rather than just hear about megahertz and megabytes, customers can now learn and experience the things they can actually do with a computer, like make movies, burn custom music CDs, and publish their digital photos on a personal website. Since then Apple has become a big international player in the retail market. With 406 retail stores worldwide and 30 new stores each year they’d make a great partner for Boon Edam. They’ve created beautiful stores, have a patented lay out and use glass and aluminium combined with maple wooden furniture. Their glass stairs are a true eye-catcher in the stores, designed to invite customers to the first (or second) floor, which are generally avoided by shoppers. Besides the visually impressive and beautiful design are the stairs with their glass structure a technical and architectural marvels. During the concept phase that followed four concepts were developed and modelled from which one was chosen and further developed. This is what became Crystal Slide. It was this phase that brought the glass tunnel and the glass footbridge to life. The glass tunnel is a way to give customer the perception that their already inside the store. And the bridge is just really awesome to complete the full transparant glass experience. The complete door is made from glass and the outer cilinder is used as the main construction to which all the parts are mounted. The panels are attached with special parts that Apple already developed for it’s staircases. The same goes for the glass itself, which is about 5cm thick consistent of three layers. The user test showed that people perceive the design as very open and inviting. And by a large percentage it is already matched to Apple in appearance. 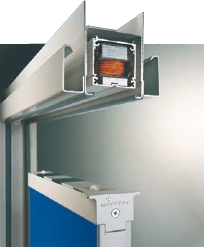 The door rotates at a variable speed to have optimal open, wait and flow times despite its single opening. It closes at a safe 4.37rpm and as soon as it’s closed it’ll open at 8.33rpm on the other side. At 75 persons/minute, it has a large capacity thanks to its variable speed and wingless design. The door is equipped with several sensors to ensure people’s safety. It has unidirectional motion sensors to detect if someone is approaching the door, infrared sensor to prevent injuries if someone sneaks in at the last second and pressure sensors on the edge for when something is stuck between the inner and outer shells. Since the revolving door can’t open completely for evacuations, there is a special escape route via the tunnel. There are doors that can close the storefront and when the store is open they’re embedded in the glass walls. But in case of emergency, these doors can open up to outside, creation two extra doorways via the side of the tunnel. To rotate the door inside the cilinder, I’ve looked at several options and systems. Eventually I picked a system by Mondoor floating doors. Mondoor floating doors use a unique magnetic guidance system, making them silent and very smooth. They’re driven by their patented inductive machine inside a closed frame. 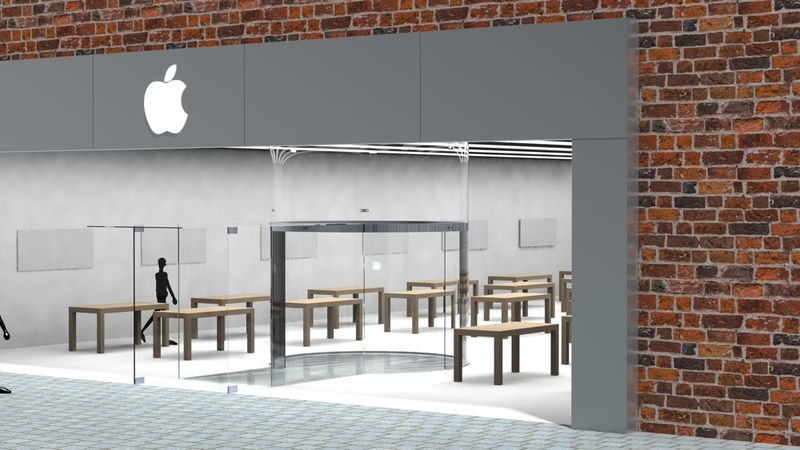 Why would Apple want this entrance in their stores? Because it would be a true eye-catcher. The immensely large cilinder will have people stunned and amazed. The glass tunnel and door make it a completely transparant entrance. Its evolutionary operational principal will be a factor of recognition to customer and the door has excellent climate control. This new type of revolving door at this size will be a true experience for customers. People will look up when they’re inside it, they’ll gaze round when the door revolves around them and they’ll look back after their entrance. Product for Royal Boon Edam, Apple, and TU Delft from 2013. Individual project, delivering a complete picture in 10 full-time weeks, including researching, designing, 3D modelling, documentation and presenting. 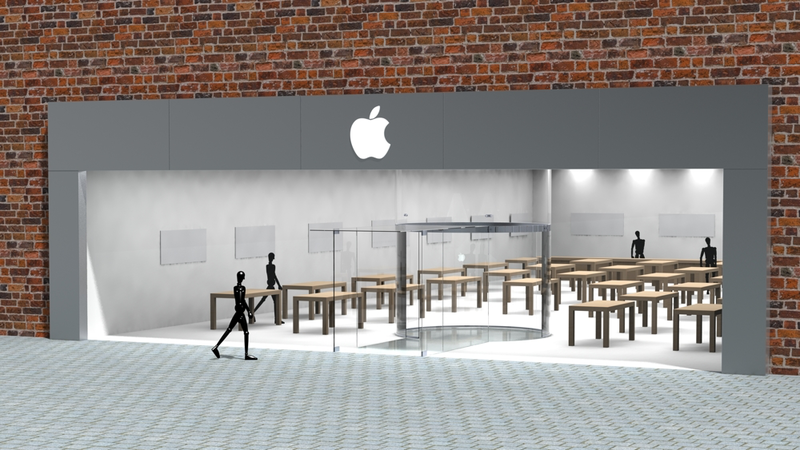 Assignment: How can Royal Boon Edam distinguish itself with a clear proposition for a retailer like Apple where the most optimal entrance experience into Apple Stores is central, but without losing pillars like safety and sustainability? I got invited to do an internship at Royal Boon Edam. Was picked to present my project at the introduction lecture for the new batch of students from the year after my year. Want to know more about Crystal Slide? Don’t hesitate to email me.